From 2001-2009, Jain served as Dean of the Kellogg School of Management, where he had been a faculty member since 1987. More recently he has been the Sandy and Morton Goldman Professor in Entrepreneurial Studies and a professor of marketing at Kellogg. For the five years prior to his appointment as Dean of Kellogg, he served as the Associate Dean of Academic Affairs. Dean Jain’s areas of research include the marketing of high-tech products; market segmentation and competitive market structure analysis; cross-cultural issues in global product diffusion; new product diffusion; and forecasting models. He has had more than 50 articles published in leading academic journals. In 2003, he was appointed as a foreign affairs adviser for the Prime Minister of Thailand. He has served as a consultant to Microsoft, Novartis, American Express, Sony, Nissan, Motorola, Eli Lilly, Phillips and Hyatt International. 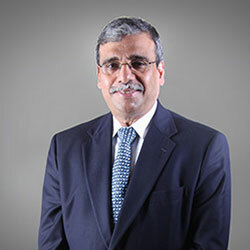 He also serves as a member of the board of directors of Hartmarx Corporation, Deere & Company, Northern Trust Corporation and Reliance Industries (India). He is also a former director at United Airlines and Peoples Energy. His long career in education began as a student in Tezpur (Assam), India. He went on to earn his bachelor’s degree in mathematics and statistics in 1976 and his master’s degree in mathematical statistics in 1978 from Gauhati University in India. He taught at Gauhati for the next five years before leaving for Dallas to pursue his Ph.D. in marketing at the University of Texas. In addition to his positions at the Kellogg School, Dean Jain has been a visiting professor of marketing since 1989 at the Sasin Graduate Institute of Business Administration at Chulalongkorn University in Bangkok. To read more about Dr. Jain, visit his personal site.